Jacob Simon is a senior analyst at Fontinalis Partners. At Fontinalis he is responsible for a variety of different functions, including identifying and evaluating investment opportunities, due diligence and deal execution, collaborating with and monitoring portfolio companies, and aiding the firm’s operations and business strategy. Prior to joining Fontinalis, Jake was an associate and analyst at William Blair, a global investment banking and wealth management firm. 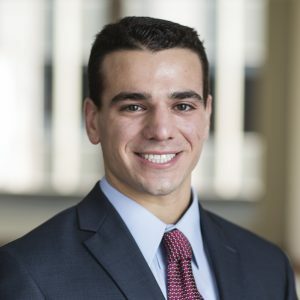 During his three years at William Blair, Jake engaged in multiple sell-side and buy-side M&A and equity transactions for growth-oriented companies in a variety of industries, including services, technology, industrials, and healthcare. Jake earned a Bachelor of Science degree in finance from the Farmers School of Business at Miami University (Ohio).